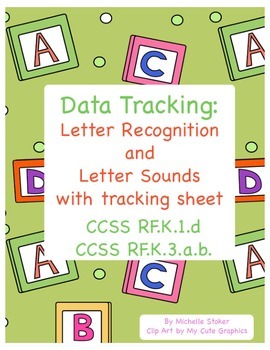 This 7 page packet includes two tracking sheets to track letter recognition (upper and lower case) and letter sounds for each student. 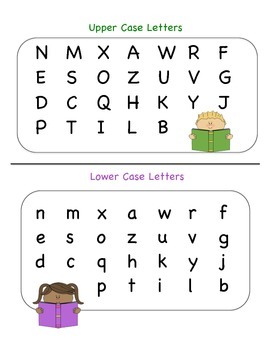 It includes a letter sounds testing page, upper case letters page, lower case letters page, and a upper/lower case page. I recommend printing the testing pages on cardstock and laminating for durability or you can put it in a plastic sleeve. 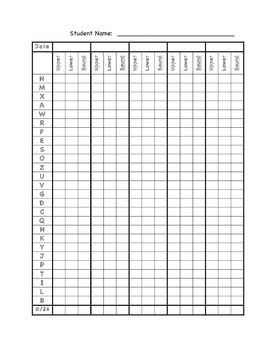 Use a tracking sheet for each student to track their letter recognition and letter sounds throughout the school year. There are two tracking sheets - one has the alphabet in order and the other has the letters in order that they are shown on the testing page. You can use whichever is easier for you. While testing, I suggest using a cover page to hide the letters that you are not testing and move the page down to uncover the letter as you go. 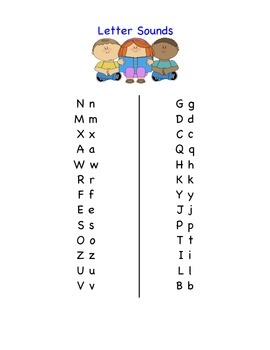 This helps the students to stay focused and not be confused by all of the letters. This is a great tool for RTI to track data. It is aligned to Common Core Standards for Foundational Skills in Kindergarten. I hope this is useful for you! :) Enjoy!